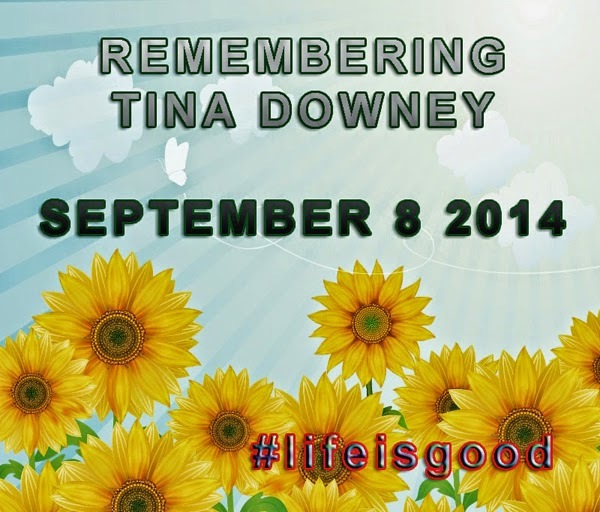 Tina was a good egg, please join us all in honoring Tina and her memory! I know... I am in tears. Dez, she was a wonderful woman... she was more like a sister for many of us. I am sure her husband is a lucky man, meaning she was a great person. Already got our sunflowers for Monday. And the tribute is beautiful. Dragon Hugs. I am so happy there is so many folks being part of this and honoring a great person as Tina is... thank you! I am truly sorry for your loss and those of her family. Tragic. Such a lovely lady. Tina was a good egg. Simple and well said.